Below are excerpts from a recent report by IBJ’s Anthony Schoettle. The local radio market is getting a little gray around its ears. Depending on whom you listen to, that can be a good thing—or bad. The five stations with the highest market share in the Indianapolis market last month count people 45 or older as a considerable part of their audiences. Those five stations account for nearly 40 percent of all radio listening in the central Indiana market, according to Nielsen Media Research. Three years ago, those five stations accounted for 24 percent of all listening. That’s not to say those stations don’t draw some younger listeners. But a major chunk of their audience—in many cases, well over half—is closer to retirement than to starting careers. As younger generations move away from radio to digital options—streaming music services and podcasts—the slice of the pie the older audience represents is expanding. As it does, station programmers are faced with a tricky dilemma. And it raises this key question: Do radio programmers cater to the trend—and play to the older audience—or do they fight it by trying to lure younger listeners away from Spotify, Pandora and other services? The younger listeners radio can claim spend considerably less time consuming radio than do their older counterparts, which tilts share numbers even further throughout the day. Radio is still the No. 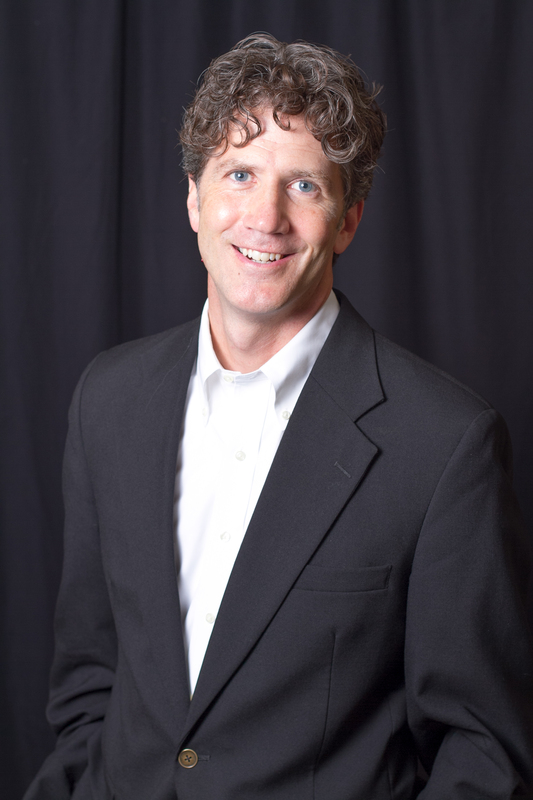 1 destination for young people to find new music, said Scott Uecker, a University of Indianapolis communications instructor and general manager of WICR-FM 88.7. WZPL-FM 99.5 and WNOU-FM 100.9—both top-40 stations that cater to younger listeners—are among the market leaders in cumulative audience, which represents the total number of listeners that tune in at least once a week, according to Nielsen. 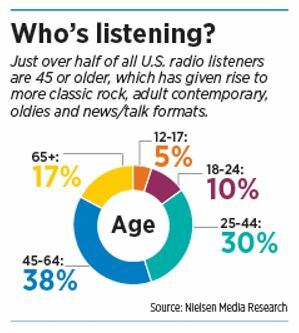 But because those listeners spend less time listening to radio—so are not getting counted as many times as older listeners in the share numbers—the stations rank lower in percentage of listeners tuning in. But Uecker still sees an opportunity for youthfully programmed stations. At no time in the history of radio, Uecker said, has the quality of on-air talent been more important. That “can be the difference between retaining the listener and losing them to an alternative,” he said. Does that mean all—or even most—stations should be pursuing millennials and Generation Z listeners? Absolutely not, say ad buyers.